Hullo! Just like I had hoped, the weather cleared up today and I was able to take swatch pics under the beautiful cloudless sky. 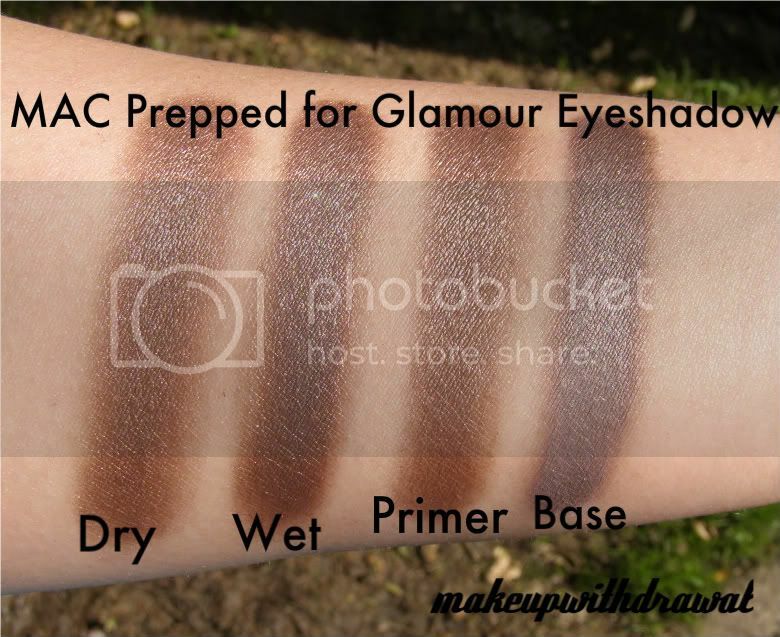 First, the brand spankin' new MAC eyeshadow from the Prepped for Colour Collection: Prepped for Glamour. Notes: Prepped for Glamour is a Frost formula, a chocolately taupe. MMmm, taupe. Does this remind you of anything else? It does? Satin Taupe?! Yes, this shade is very close to Satin Taupe, though a true taupe connoisseur such as myself can see the subtle differences (read: I can rationalize owning both). Alas, since the time that I tripped and broke my MAC palette and some of the shadows inside, I currently do not have Satin Taupe (I'm not sure how I'm living with myself, I'll get it back soon) so I can't do a side by side comparison- though KarlaSugar can! I did play with them side by side at the MAC counter and I can tell you that ST is darker and much more frosty whereas PfG is more chocolate and less grey- and is more satiny than it's brother. 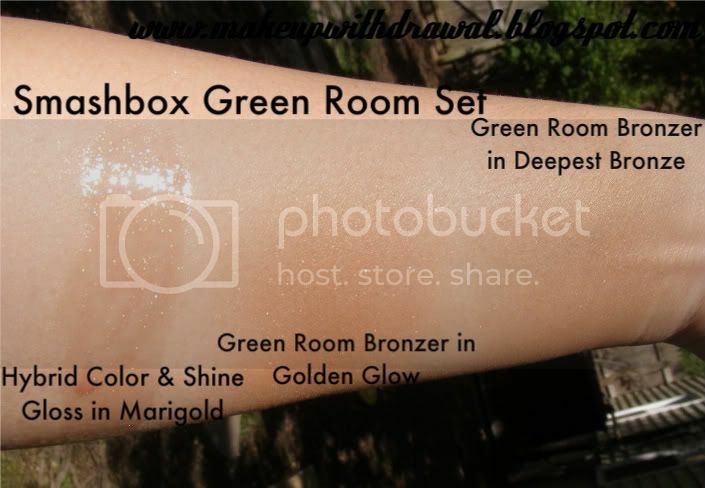 Next we have the Smashbox Green Room set I picked up for $16. I was a little wary of this set, because it was all about bronzing and I don't really do that very well. I have yet to meet a bronzer who didn't make me look orange. However, the two bronzers/contour colors in this set were quite nice. Golden Glow was a little orange, so I'm going to wear it like a peachy blush instead of an all over color. Deep Bronze (which I accidentally labeled as Deepest Bronze) is quite dark in the pan and there's no orange at all. It makes for a fantastic contour color on my skin! What a great find, because I've been looking around for a subtle, blendable shade just like that. Both of the bronzers are very soft, matte with a little shimmer. The Hybrid 2 in 1 Color & Shine Gloss in Marigold is a dual tube of clear gloss and gold sparkle. Though the glitter is by no means chunky, it's still a bit too much for me. This collection came out in 2008. 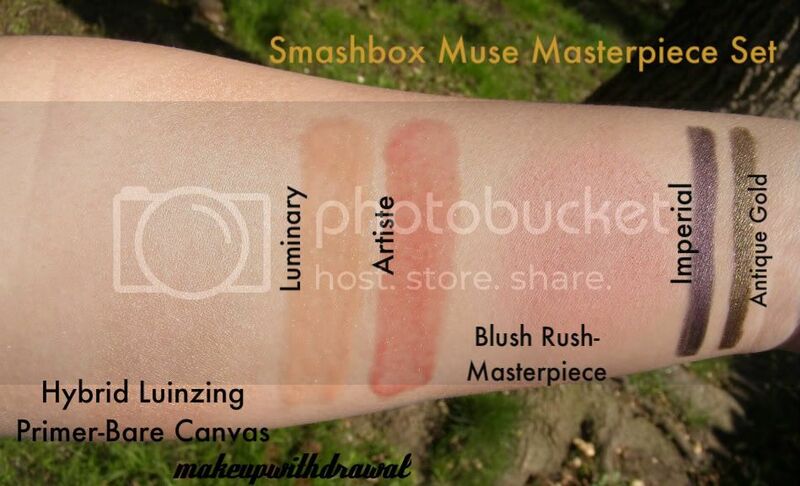 Last but not least, may I present to you the Smashbox Muse Masterpiece Set for $24. This was a great value, I thought initially, but it might turn out to be just 'meh'. The Lip Paints are both are a little sticky though but they are really nice and glassy like glaze on the lips- a little bit of color each, very subtle. 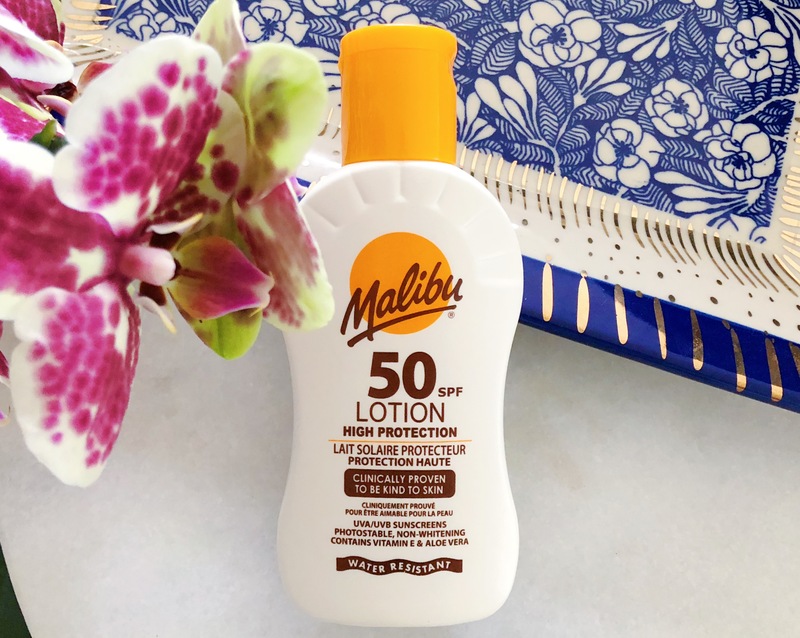 The Hybrid Luminzing/Primer (whoops, another typo!) is a little strange. The packaging is a little weird, so that it's hard to get equal amounts of each product to dispense. I eventually figured out to plug each little hole one at a time to get an even amount. It's not a very good primer, to be honest. It's basically just golden sparkle sauce. I'll be using it as a highlighter. The blush I'm also a little iffy about. Mainly because I've been hearing such good things about Smashbox blush- the smoothness, how pigmented it is, etc. To be honest, I've found drugstore blush that's better quality than this (to be exact- the Jane blushes). Perhaps I got a bad egg. It is really blendable though. Both the liners are really creamy- Imperial is a dark violet (the exact same shade as Wet'n'Wild MegaChrome Eyeliner in Antique Amethyst, only the texture is different) but it's so dark that indoors, you can't appreciate the color. Antique Gold liner is simply amazing, it's a really complex shimmery dirty gold/bronze/olive that looks different from different angles and under different lighting- easily my favorite item of the whole set. This was the Spring 2009 Collection. So, until next post, I bid thee 'adieu'! Thanks for reading! All items shown were purchased by me for my own use.